Crappy location due to homeless around the area...but I don’t count that against them. The guy at the counter was super nice and informative, CA prices are high but I’d come back next time I’m in town. Don’t get me wrong, this place is great but it’s getting harder and harder to find what you want since marijuana was legalized. 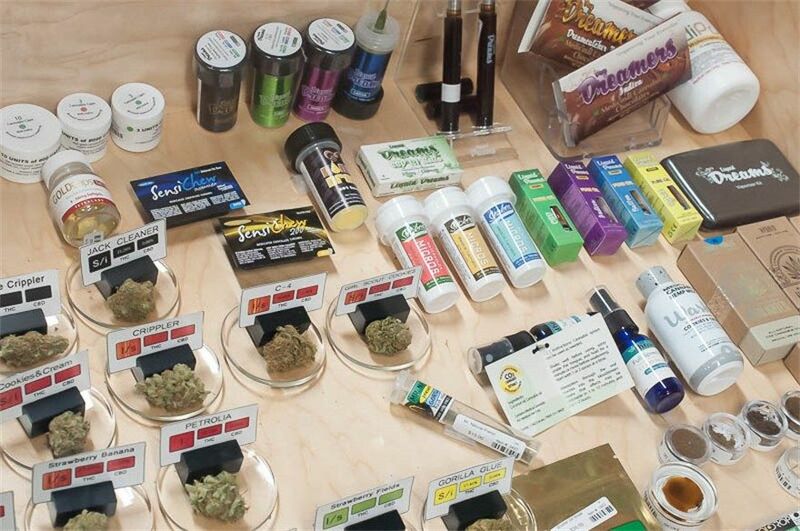 The flower selection is small compared to other dispensaries and they often run out of anything bigger than grams. This didn’t used to be an issue because they used to give eighth pricing on grams if they were out. No more. You pay the higher gram prices. They also have no discounts on quantities greater than an eighth. The best thing about Lux, hands down, is happy hour but since it’s in the middle of the day it can be hard to time it right. If they have what you want, this place is the best. If they don’t or they’re out of eighths...do yourself a favor and walk out. I got the best service the evening of Friday, 2/9 from an attractive male budtender with sick braids. Attractiveness aside he was very helpful to my friend (who had never purchased marijuana before) and he was super cool to point out specials and promotions that were available. Not only did I get the best possible value, I also got to try a wide variety of pre-rolls and edibles due to my excessively awesome haul. My only regret is not purchasing the THC infused lemonade. Thanks for the review. We're glad Gio not only provided some eye candy, but also the great customer service he's known for. We're glad our products and prices met your needs. We still have some of that lemonade if you still want some. Good place. Decent selection of bud. Great people who work there as well. But there is no reason why a top shelf hybrid is dry. So dry that I didn’t need my grinder. I could just twist my fingers, and viola, ground weed. My grinder turns the herb into powder, not very conducive to anything really (rolling or a bowl). The high is decent, but, 18 bucks will get you some sticky and stinky stuff from another dispensary. They’re charging top shelf prices, for bottom shelf bud. Maybe worth 9$ a G at most. Not coming back, sorry :( not sure where the great reviews come from TBH. We're sorry you left with product that left you unsatisfied.We appreciate that you took the time to let us know. In the future if you are unsatisfied, feel free to call or come in and talk to our manager, Kevin, and we'll do our best to find a solution. Great staff! They are knowledgeable and super helpful. The atmosphere is relaxed and I always feel safe/secure. Quality and variety of products is top notch. 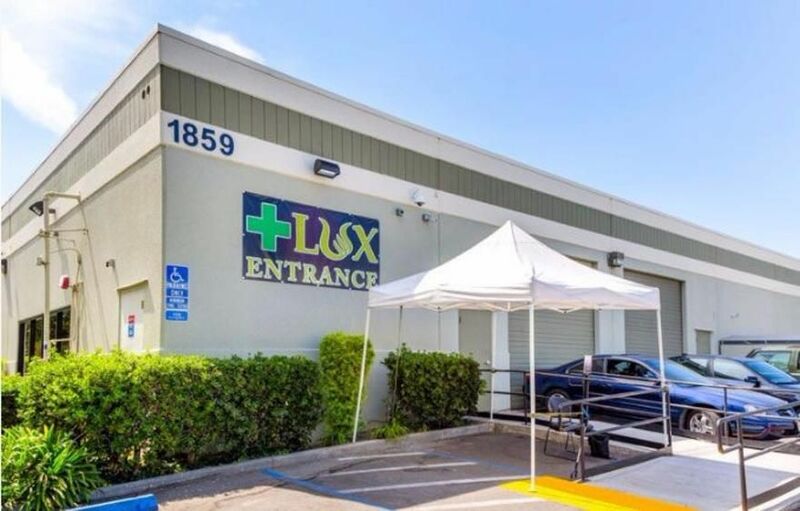 Even though there are other dispensaries closer to my home I will always go to Lux because they are the best in town! We're honored that you consider us the best in town. We strive to create a comfortable environment in which you and other patients can find the right products to meet their needs. Thanks for taking a moment to let others know what your thoughts about us are. The people that work there are the best. I only get my medication from them. I’ve been shopping with only them since having my prescription. We appreciate your loyalty! We're glad you chose us and saw the effort we put into our product curation and customer service. Thanks for taking a moment to let others know about us. I love Lux, the atmosphere is so friendly and professional. The people definitely know their business and they remember their customers. Always have great recommendations and give you great opinions based on their own knowledge of the products. Kevin is the Mgr and one of the best guys you can ever meet. The owners are great also and I don't think that you can find a better place for your Medical needs. Thanks for the kind words and positive review! We do our best to create a comfortable environment in which patients can find the right products that meet their needs. We look forward to continuing to serve you in the future. Best place around. Everyone is so friendly you leave feeling so cared for. I cannot day enough: they have Happy Hour, you earn points with purchases that can be redeemed, new members get perks and they have various sales too! Seriously, once you visit you will not go anywhere else. Thanks for letting other Leafly users know about us. We're glad to hear that you are taking advantage of the various programs we created to help save you money. We appreciate your loyalty and look forward to serving you in the future. Great place and service. I work nearby so ease of access. Have a great rosin deal. Prices vary from budget to a bit much for an 1/8th. All my product is great from here. Good consistency. Friendly and knowledgeable budtenders. Also tried a cavi Coke for my bday (since they have the only decently priced one) - it actually got me drifting right now. I'm a habitual smoker. Thanks for letting others know about your positive experience at Lux. If you liked the Cavi Cone you should ask your budtender about Frosted Flower Fusions. We're glad to be of help and hope to continue to help in the future. Every time I have gone here I have been greeted enthusiastically and everyone is so nice! The weed is pretty great too! We're glad that we give you the exact customer service you deserve. We look forward to seeing you next time! Thanks for taking time to let us know your feedback.